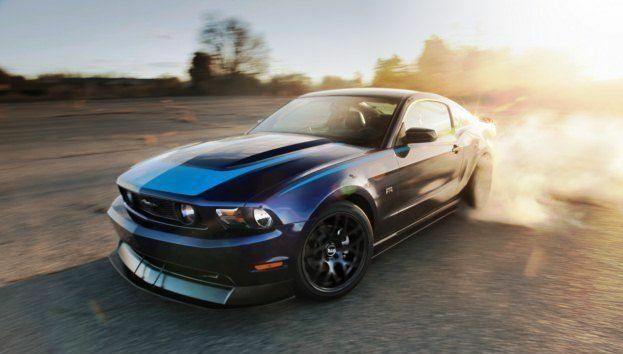 The 2011 Mustang GT is auto enthusiast darling of the year thus far. Browse any car magazine, blog, or forum and you’ll no doubt run into car geeks gushing about the car’s astounding performance for the money. 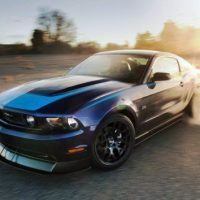 Traditionally, pony cars like the Mustang have appealed to the mulleted, Bud Light, “no replacement for displacement” crowd that equates driving a Japanese performance car with jihadist activity. Thanks to Ford Racing’s work with Vaughn Gittin Jr. in Formula Drift the past few years, the Mustang’s popularity has spread out to the 240sx/AE86/Skyline crowd. 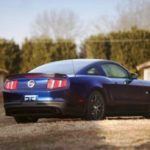 For some of those dudes, though, the Mustang isn’t loud enough – the wheels aren’t big enough, there aren’t enough spoilers, and there aren’t any graphics on the car at all. Ford Racing and Gittin Jr. put together a nifty little dealer installed performance and appearance package just for those guys in their flat-billed baseball caps. 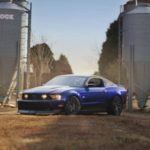 “Vaughn’s goal was to introduce an exciting new package to the Mustang world that resonates with both the younger audience and with traditional muscle car enthusiasts as well,” Mickey Matus, Ford Performance Group marketing manager said. 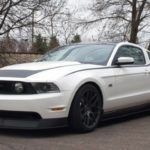 The Mustang RTR dealer package takes the 2011 Mustang GT and turns it into an even larger cop magnet. 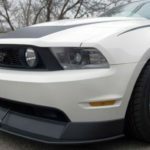 On the appearance end of the spectrum the RTR receives a very aggressive front lip spoiler with a built in splitter, larger side skirts, a rear diffuser, a new aluminum rear spoiler, RTR badges, RTR “contrast stripes,” and, of course, RTR floor mats. 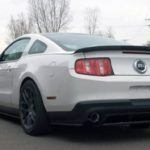 Performance wise the RTR receives an ECU retune, a K&N air filter, Ford Racing mufflers, Ford Racing shocks and 1.5’’ lowering springs, an upgraded rear sway bar, drilled and slotted brake rotors, and a set of new 19×9.5-inch wheels shod in Falken FK-452 tires. 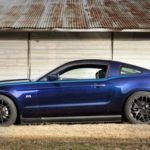 Currently the RTR package is only available on GT’s, but Ford says the package will be available on the V6 Mustang later this year. 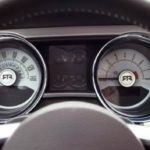 1 Comment on "Ford Unveils Drifter Friendly Mustang RTR Dealer Package"
That seems to be a good thing there. The car spoiler seems to be ok, as well as the other parts that was mentioned here. I hope that this will go well in the future.